SAFi valves, strainers and flow control equipment, form an important part of BMG’s extensive range of fluid technology components, and are designed to cope efficiently in arduous conditions, including the mining sector. “What’s distinctive about the SAFi range, is that all SAFi products are manufactured from the finest thermoplastic materials, combining quality, safety and product suitability, for specific applications,” says Willie Lamprecht, BMG’s national product manager, Industrial Valves. “Since BMG was appointed exclusive distributors by SAFi Thermoplastic Valve Solutions in sub-Saharan Africa a year ago, we have seen a growing demand for thermoplastic materials over conventional alloy metals. BMG’s SAFi range incorporates ball, butterfly, diaphragm and check valves, as well as flow control equipment, strainers and accessories – all manufactured from non-corrosive thermoplastic materials. SAFI’s most used material – Glass Reinforced Polypropylene (GRPP) – has excellent mechanical, chemical and UV resistance, good dimensional stability and can be easily machined and welded. This material can withstand operation in temperatures from -10˚C to +100˚C. Polyvinylidene Fluoride (PVDF) is a highly resistant thermoplastic, with a smooth surface, which prevents the development of micro-organisms. This material, with excellent UV, chemical and abrasive resistance, offers long-term stability at temperatures from -20˚C to +120˚C. Polypropylene (PPH) materials have good chemical properties, in particular with salts, acids, alkalis and organic solvents. Other features include excellent mechanical and shock resistance and thermal stability from 0˚C to +90˚C. Chlorinated Polyvinyl Chloride (C-PVC) and PPH thermoplastic with carbon fibres (PP-ATEX materials) are semi-conductive and compliant with ATEX specifications for safe use in hazardous environments and potentially explosive atmospheres. This is particularly important in the mining sector. The trend in the mining sector, to choose thermoplastic industrial valves over standard components, is evident in process applications that include heap and in-situ leaching (ISL), electrowinning, solvent extraction and acid plants. BMG specialists recommend SAFi thermoplastic ball valves for use in on/off regulation applications in mining. These thermoplastic ball valves are maintenance-free and have the ability to close faster, also ensuring extended service life. SAFi DN400 butterfly valves, with LUG type flanges, are also well suited for the mining sector. These robust valves are lightweight and have been designed for easy maintenance and reduced costs. The quality of the thermoplastic used makes this a premier valve, offering optimum performance and extended service life. Different sealing arrangements adds to the versatility of this range. BMG’s extensive range of SAFi thermoplastic industrial valves is designed to handle corrosive and abrasive materials in demanding industries, including chemical and petrochemical plants, mining, water treatment, transport and logistics, marine, food production, energy and agriculture. The company’s fluid technology services also cover project engineering and consulting, cylinder design and manufacture, training, repair and testing, as well as on–site container services. 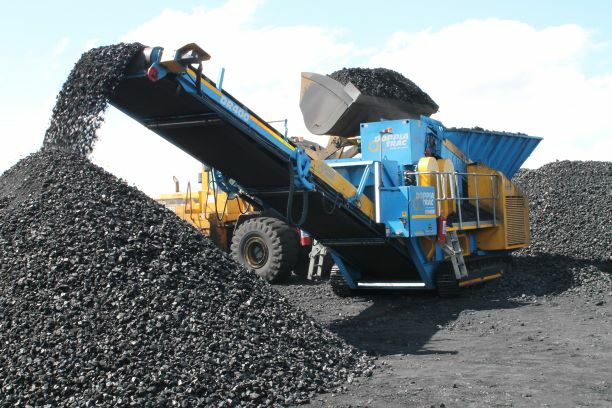 BMG also offers total process and lubrication management solutions throughout the African continent.